Applied Genetic Technologies Corporation (AGTC), a biotechnology company conducting human clinical trials of adeno-associated virus (AAV)-based gene therapies for the treatment of rare diseases, has entered into a strategic research and development collaboration with Bionic Sight, an innovator in the emerging field of optogenetics and retinal coding. 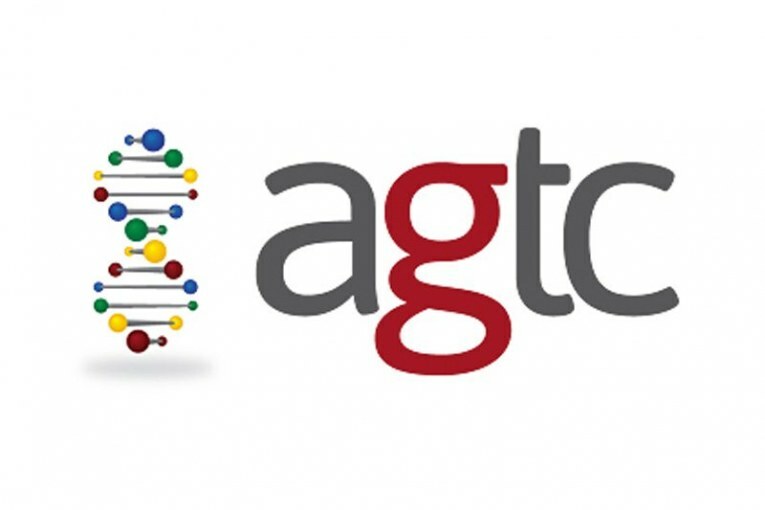 Through the AGTC-Bionic Sight collaboration, the companies seek to develop a new optogenetic therapy that leverages AGTC’s deep experience in gene therapy and ophthalmology and Bionic Sight’s innovative neuro-prosthetic device and algorithm for retinal coding. In patients with normal vision, light enters the retina through the photoreceptor cells. These cells then convert the light into electrical signals and pass them through the retina to the brain. The signals are transmitted in a neural code that the brain uses to create images. In patients without functional photoreceptors, the first step is seriously impaired, causing blindness. Using optogenetics to stimulate the remaining healthy cells in the retina and Bionic Sight’s neuroprosthetic device to stimulate those cells with the retina’s neural code, AGTC and Bionic Sight will seek to restore normal neural signaling in patients with visual deficits or blindness due to retinal disease. The Bionic Sight device combines a camera with proprietary software to convert incoming images into a “retinal code” that is capable of activating the optogenetic protein delivered by AAV gene therapy. Activation of this protein causes the targeted cells to fire in specific patterns recreating images the brain can detect. AGTC is a clinical-stage biotechnology company that uses its proprietary gene therapy platform to develop products designed to transform the lives of patients with severe diseases, with an initial focus in ophthalmology. AGTC’s lead product candidates are designed to treat inherited orphan diseases of the eye, caused by mutations in single genes that significantly affect visual function and currently lack effective medical treatments. AGTC’s product pipeline includes six named ophthalmology development programs across five targets (X-linked retinoschisis (XLRS), X-linked retinitis pigmentosa (XLRP), achromatopsia, wet age-related mascular degeneration and blue cone monochromacy), two non-ophthalmology programs (alpha-1 antitrypsin deficiency and adrenoleukodystrophy) and AGTC is continuing to develop early research studies in additional indications. The company is also exploring genetic defects in cells in the inner ear that lead to deafness and expects to advance several product candidates into development within the next few years. AGTC employs a highly targeted approach to selecting and designing its product candidates, choosing to develop therapies for indications having high unmet medical need, clinical feasibility and commercial potential. AGTC has a significant intellectual property portfolio and extensive expertise in the design of gene therapy products including capsids, promoters and expression cassettes, as well as, expertise in the formulation, manufacture and physical delivery of gene therapy products. Bionic Sight LLC is an early stage medical device company focused on the development and commercialization of prosthetic treatments for blindness due to retinal degenerative disease. A key differentiating feature of the Bionic Sight device is the use of the retinal code deciphered by its scientific founder, Dr. Sheila Nirenberg, a MacArthur Genius Award recipient and professor of computational neuroscience at the Weil Cornell Medical College. Dr. Nirenberg’s advancements in retinal coding can convert visual images into similar patterns of action potential that the retina normally produces and can do so across a broad range of stimuli including faces, landscapes and movement, essentially replicating patterns in a code the brain is expecting and can recognize. As such, Dr. Nirenberg’s approach has the potential to increase prosthetic performance well beyond what can be achieved just by increasing resolution with the goal of bringing prosthetic capabilities up to the level of near normal image representation.